“Friends don’t let friends run on pavement”. 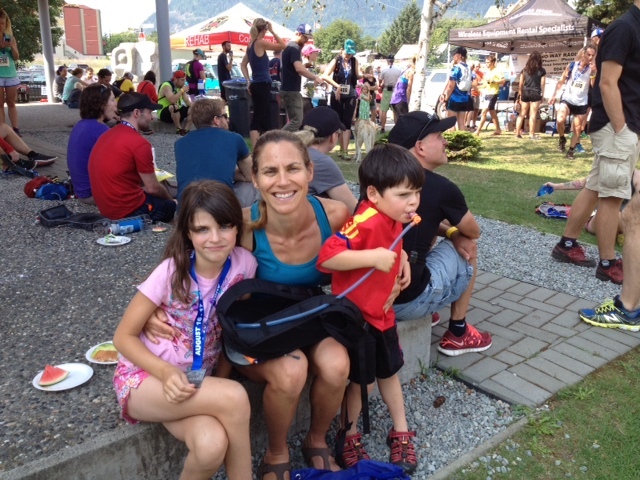 These were the first words I heard moments after the Squamish 23k trail race started. Close to 300 runners were running uphill on a paved road prior to gaining access to the trail’s entrance. I laughed and knew that this was going to be a FUN race. Note that the race starts in the mountains! I initially signed up for the race with the hopes of seeing how I stacked up against BC runners; plus this would be my first baby steps towards completing an ultra. 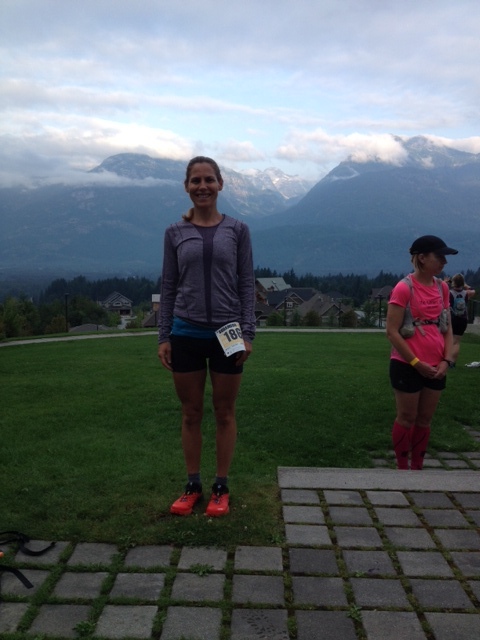 I knew that the BC terrain, in general, is more technical than what I’m accustomed to in Ontario, and the warning on the race’s website “This SHOULD NOT be your first trail race. It is a very difficult 23km course” excited me even more! But as the race drew near, I had to re-adjust my goals. My ankle that I had sprained at the July 13th 5 Peaks Trail race still wasn’t fully healed. My choices were 1) don’t race or 2) Participate, go easy and love every minute of it. The answer was pretty obvious to me. The first 4k went pretty good; it was a lot of climbing but nothing tricky, so I pretty much stayed with the front pack. But things changed after the first aid station, as this is when the tricky descents began. Then more descents. Then more. I stayed true to my promise and played it safe by walking or slow jogging most of these tricky descents. But I must admit that at one point, I was getting pretty discouraged. I had never been past so many times in a race before. But then one look at the beautiful scenery and I was quickly brought back to the reason why I was doing this, and I was so grateful to participate in the race. For the rest of the race, there was a lot of cat and mouse going on. I was soon passing everyone that had zipped by me on the descents. And then this cycle kept repeating itself throughout the race. At the 14k mark, there was a sign that said “Legs shut up”. But funny enough, my legs felt relatively fine at that point. Note the term “relative” – any course with lots of ups and downs will be tiring; but I was surprised that I wasn’t more tired. I guess this was the pay-off by running at an easier pace (and walking the downhill!). A more helpful sign for me would have read “Brain shut up” as I was constantly reminding myself to slow down, as it was not worth the risk of running harder and spraining my ankle again. The last 2k were flat and I finally felt that it was safe enough to pick up the pace without injuring my ankle. Despite this being my longest run (I had previously ran 1h:45), I finished around 2:25 (not really paying attention), 5th female, with energy left in the tank. But part of this was likely due to the high that I was experiencing having finished the race, and knowing that I WAS HOOKED on the longer distances. I wanted to do the longer races that others were doing (some were running 50k that morning whereas others were doing the 50miles/50k combo over the course of the two days). Would I have felt this high had I ran harder during the race and pushed myself more? I’m not sure. But one thing that is certain is that I can’t wait to test this theory out! Although I may not be able to run a longer distance this fall, I’m excited to start planning for 2015! With so many wonderful races to choose from, I’m going to be like a kid in a candy store!